3-2-1-Blast Off!! 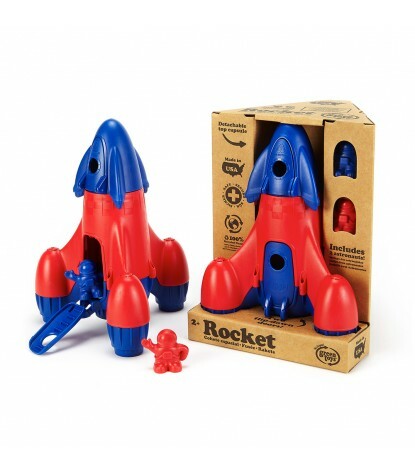 The Green Toys Rocket is on a mission to save the world, one Eco-friendly toy at a time! 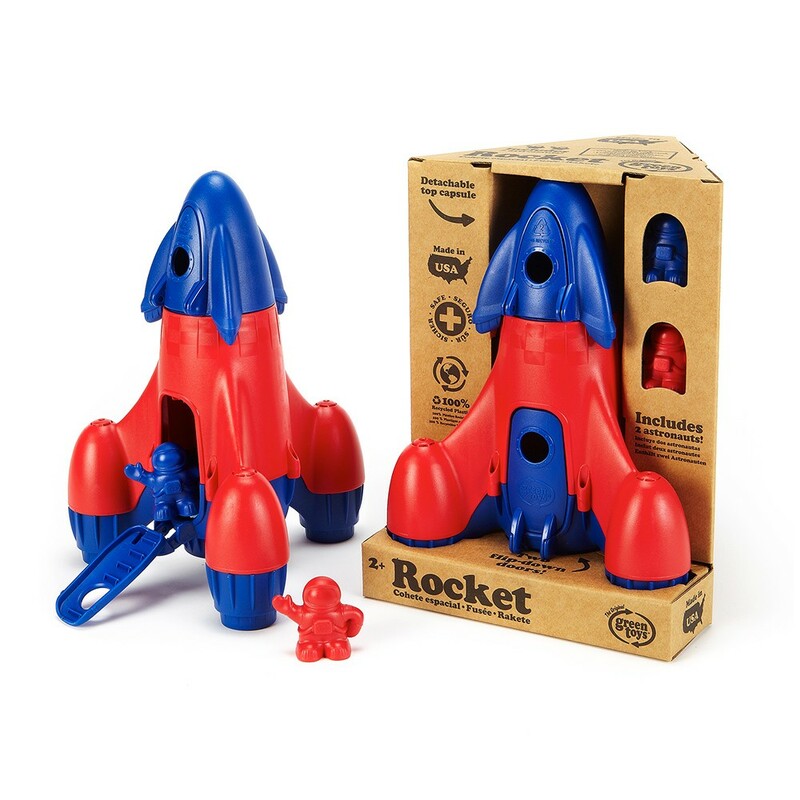 With this Rocket your little one can go in search of new planets while helping to protect this one. This fully equipped Rocket is actually a 2-in-1, including a detachable top capsule and two astronauts that sport molded spacesuits with helmets, and dual-tank backpacks. The main rocket is powered by a central booster and three auxiliary fin boosters, with a large door that flips down to double as a set of steps up into the main cavity. The detachable nose cone capsule has its own door that opens to reveal buttons, dials, and more! The perfect play set for a young explorer, and future protector of the planet!